Ibn al-Faqīh was the Iranian author of a Geography in Arabic entitled Kitāb al-buldan written around the year 903. The original work is lost, but the abridged version, possibly composed around 1022, has survived in a handful of manuscripts. Only three manuscripts were known during De Goeje’s life and he used them all for his edition, which was originally published in 1885. 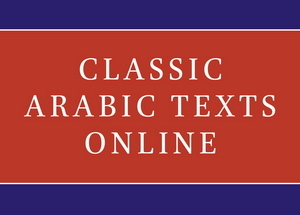 Its introduction includes a summary of Ibn Faqīh’s life on the basis of the classical sources by De Goeje. Ibn al-Faqīh’s Kitāb al-buldan offers geographical and historical details not found in other sources, and it was in itself an important source for later works, for example by Muqaddasī and Yāqūt. Aḥmad b. Yaḥyā al-Balādhūrī (d. c. 892 CE) was one of the greatest Arab historians of the ninth century CE.